In 10-inch skillet, cook bacon over medium heat until brown but not crisp. Add beef stew meat and onion; cook 3 to 5 minutes, stirring occasionally, until beef is browned. Into 1 1/2-quart slow cooker, spoon mixture; stir in carrots. In small bowl, mix remaining ingredients; gently stir into mixture in slow cooker. 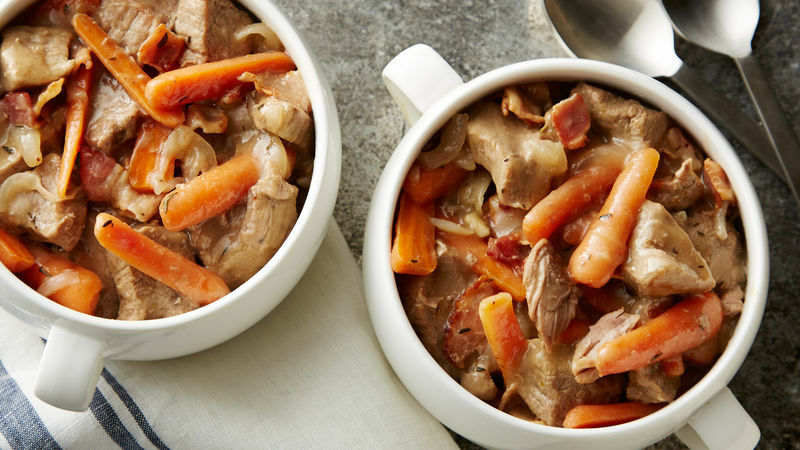 Serve this rich beef stew with mashed potatoes to soak up every last drop of the delicious juices!